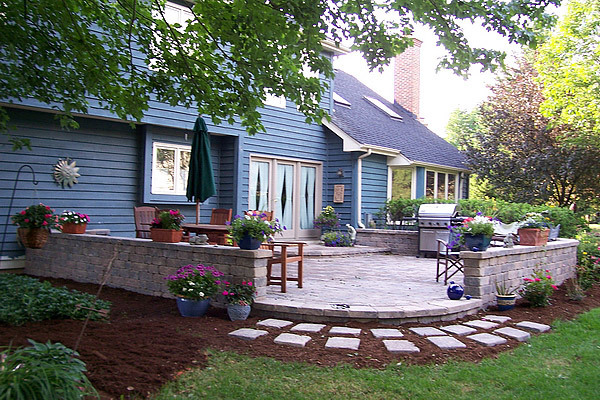 Rob Rocks Inc. can help you on your new construction, addition or renovation projects. 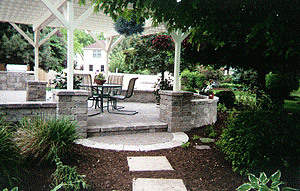 We can create a unique design that is inspired by your imagination and our vision, utilizing natural or manufactured stone or a combination of products and materials. 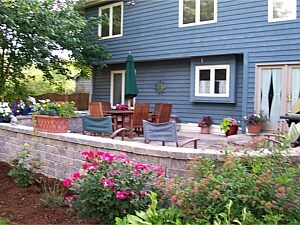 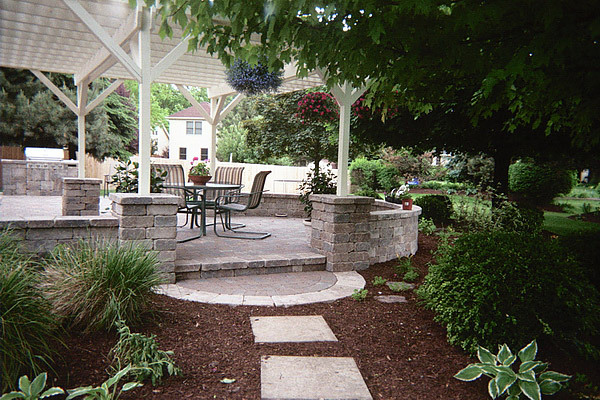 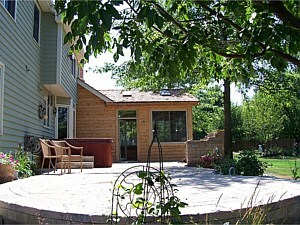 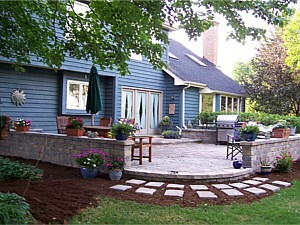 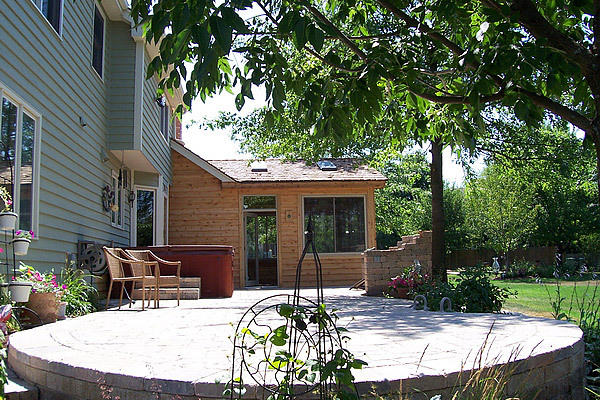 Our professional staff can build patios, walls, driveways and pathways that are highly functional and attractive. 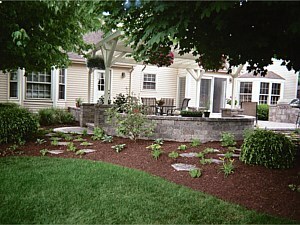 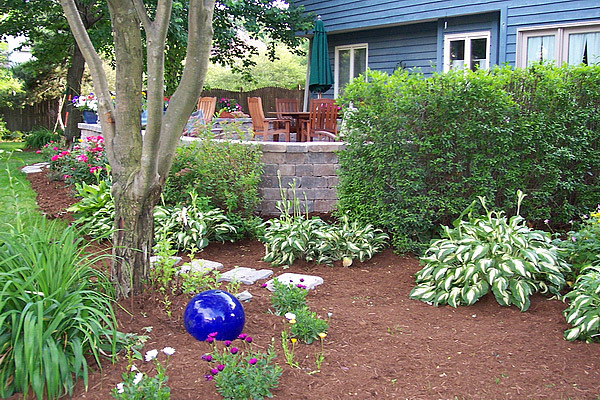 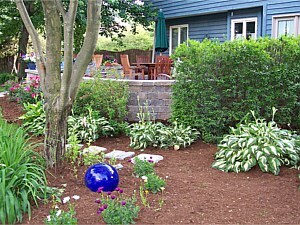 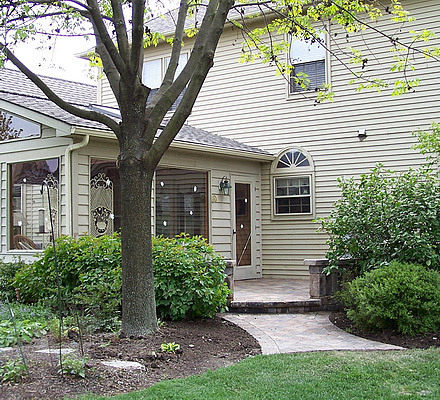 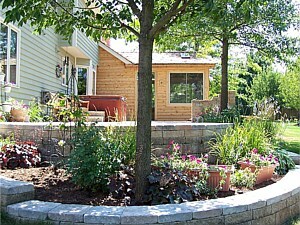 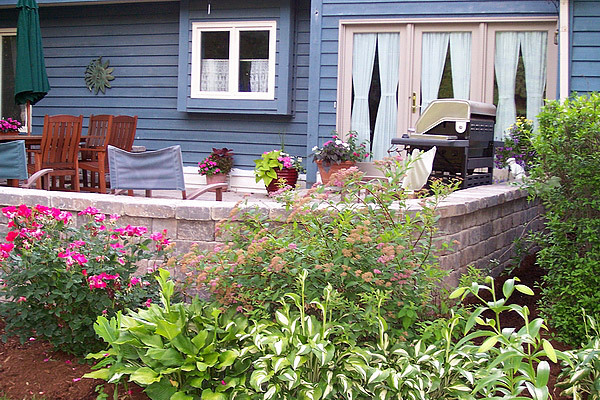 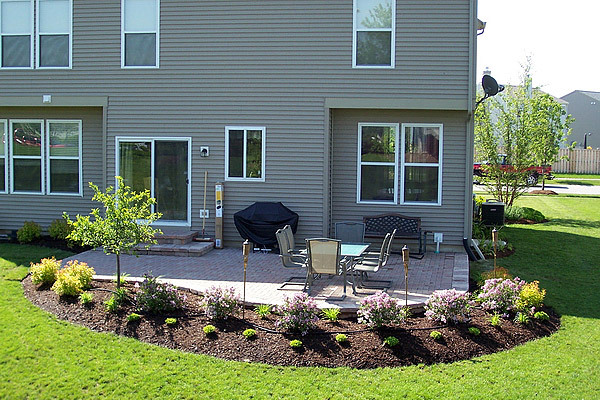 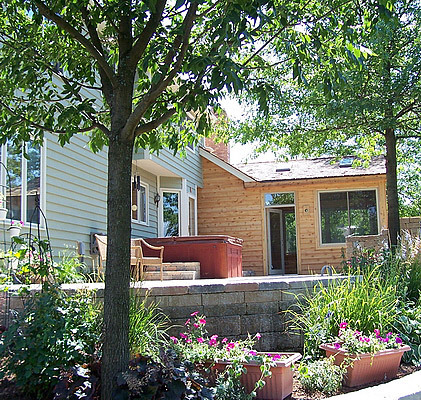 Combining quality landscaping to these areas will ultimately enhance the beauty of your home. 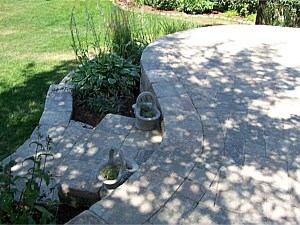 Creating hardscape structures is a highly delicate task that requires years of intensive and extensive experience. 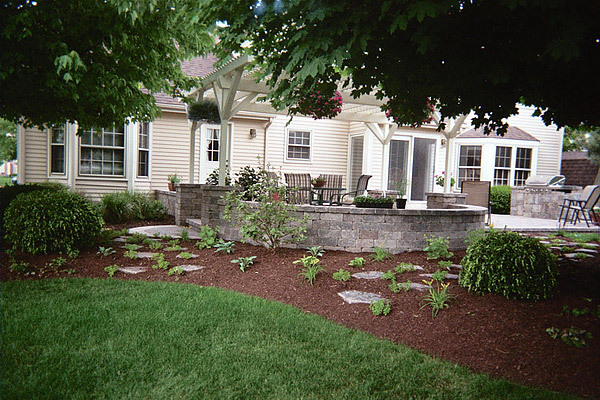 Entrusting such task to established contractors will ensure that clients like you can expect quality installation and full benefits from your desired hardscapes. 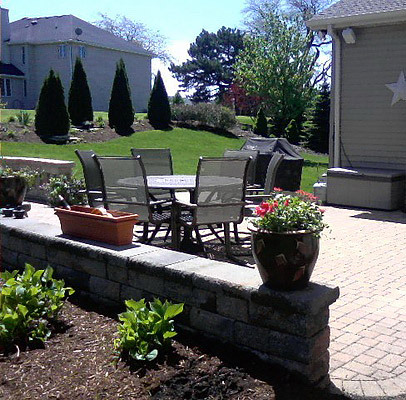 And when it comes to providing expert and professional hardscaping services to business property owners and residents of various Indiana and Illinois areas, you can rely on Rob Rocks Inc.
Patios and courtyards. 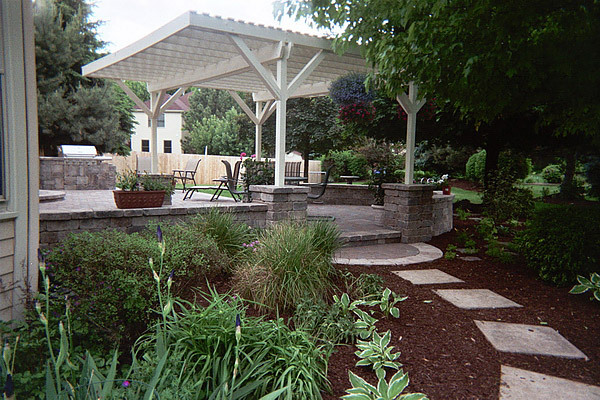 Patios and courtyards are two of the most stunning outdoor additions that you can have for your commercial property or private residence. 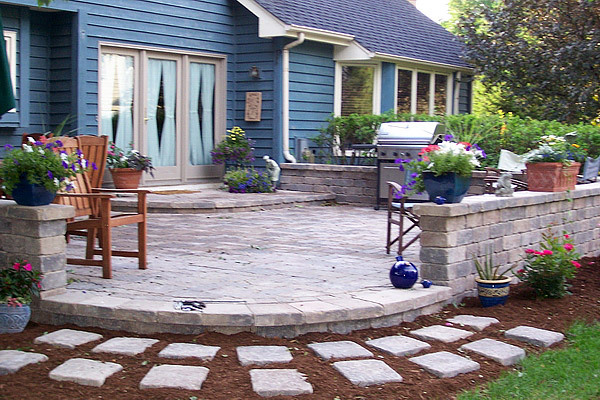 Accordingly, we can design and build your desired courtyard or patio with the theme that will perfectly complement your property’s existing design and architecture. 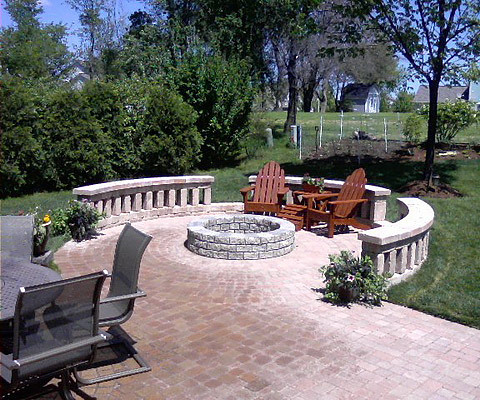 Whether you’re into the Greek, Italian, Contemporary American, or Modern theme, rest assured that we can provide the results that you need. 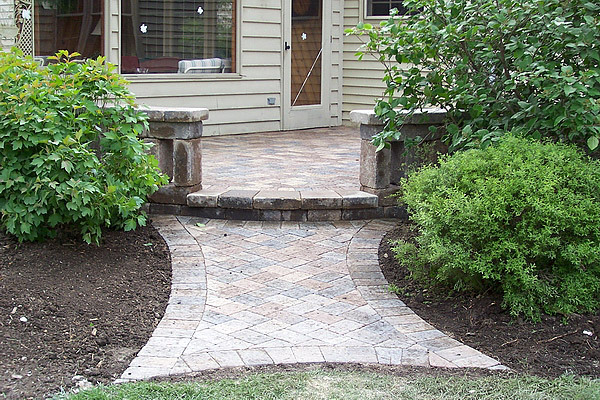 Driveways and walkways. 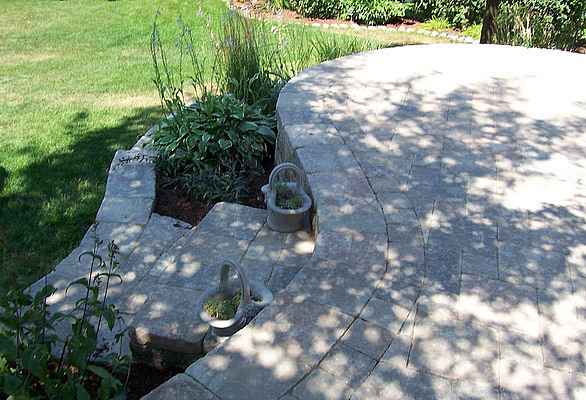 We can install perfectly beautiful, durable, and skid-resistant surfaces such as walkways and driveways. 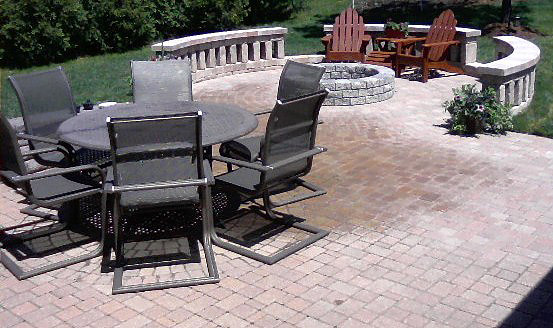 We use various materials depending on our clients’ budget and preference – asphalt, concrete, or stone pavers. Retaining walls and garden walls. 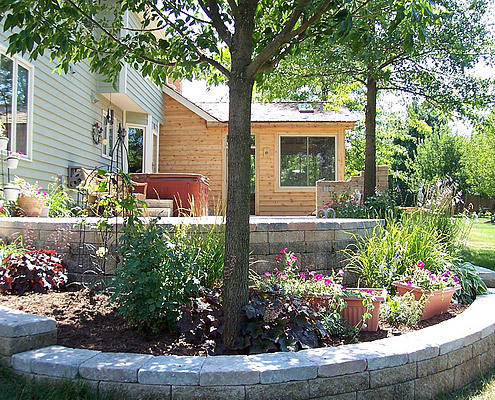 Using premium stone blocks, we can design stunning garden walls and retaining walls that are functional, long-lasting, and able to withstand enormous soil pressure. 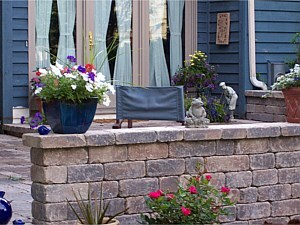 Front entrances. 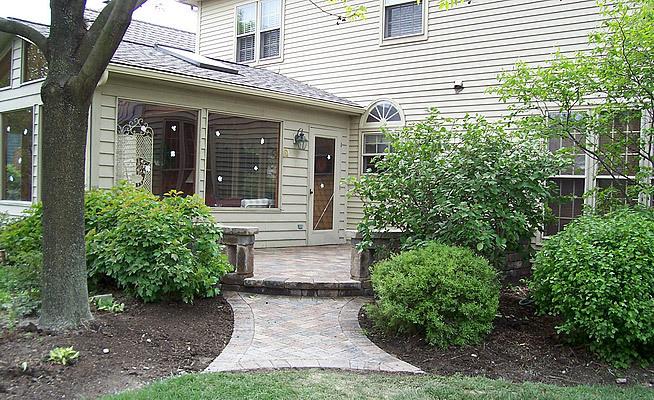 They say that first impressions last – and we are here to ensure that your property will leave a great first impression on everyone who enters your premises. 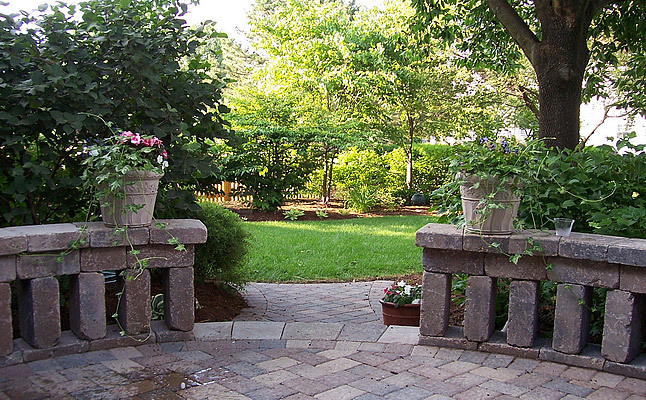 With lavish and stunning front entrances, your commercial property or private residence will effortlessly command admiration from your guests. 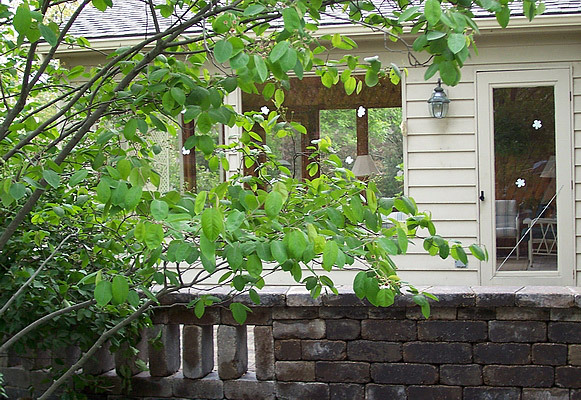 Flagstone and outcropping. 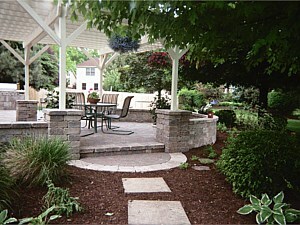 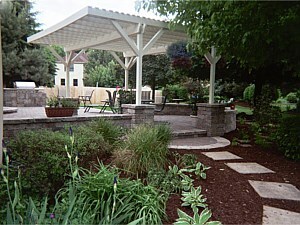 We can install various outdoor structures using premium flagstone pieces. 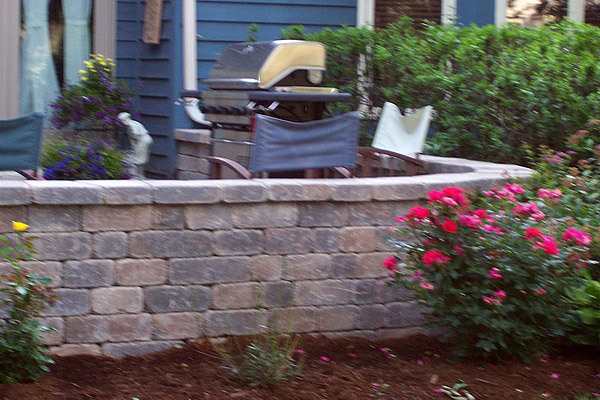 We also install decorative outcropping that will render a naturalistic appeal to your outdoors. 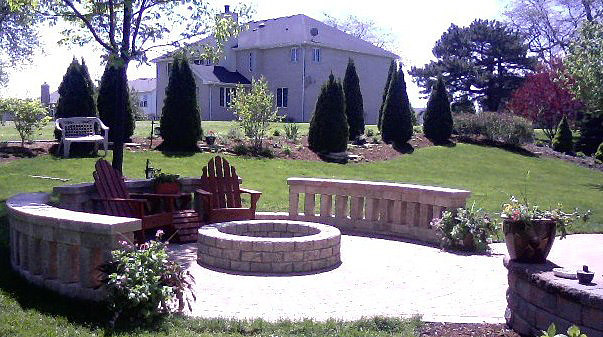 Our clients can also rely on our expertise in designing and building additional outdoor amenities in their properties such as water features, outdoor kitchens, fire features, pool decks, and other outdoor living areas. 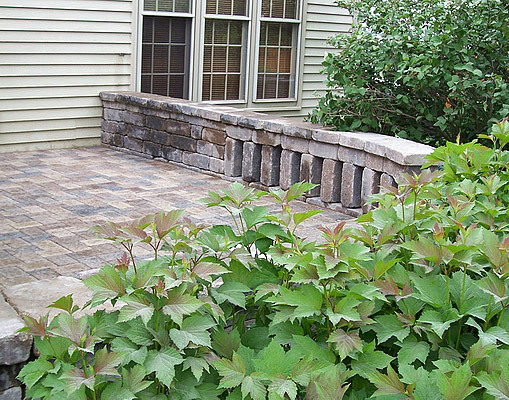 Belgard, one of the most recognized and preferred landscaping materials providers in the country, put their trust on us and made us certified hardscape installers of their premium products. 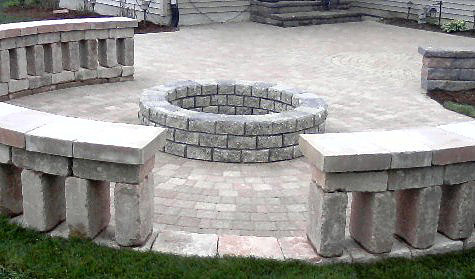 This means that we are equipped with the required training, experience, and appropriate tools and equipment to properly install and create exceptional outdoor structures using Belgard products. 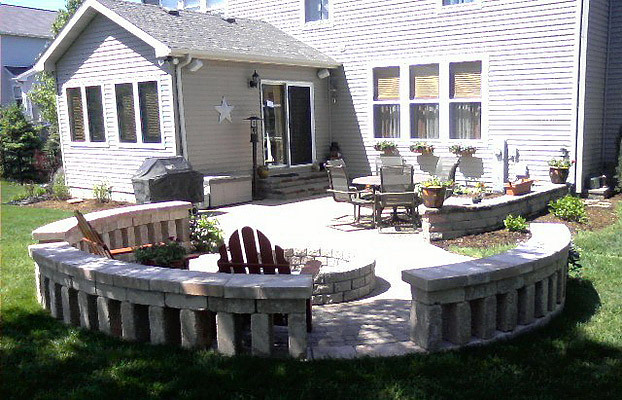 Moreover, Rob Rocks Inc. is also an authorized Unilock installer in the state. 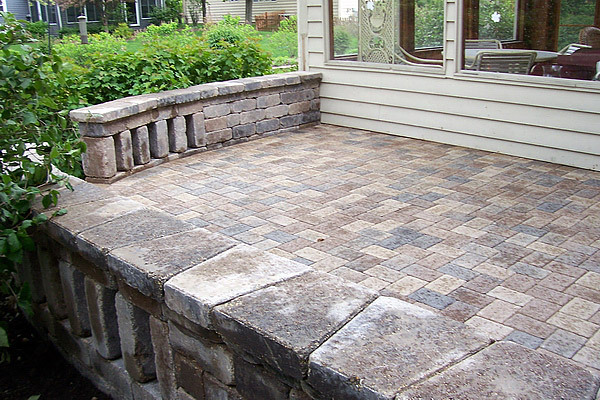 We can turn patios, driveways, and retaining walls into durable and stunning areas with the use of Unilock pavers and blocks. 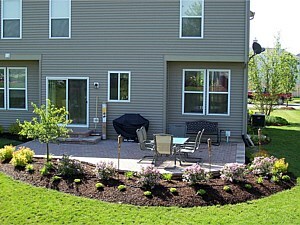 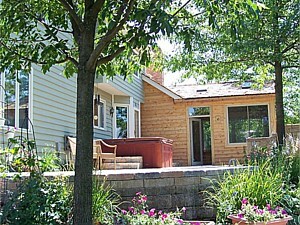 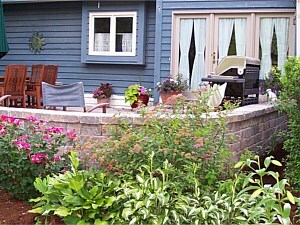 With quality products and expert installers, you are assured of long lasting outdoor amenities. 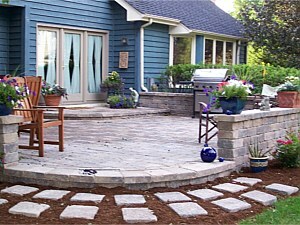 Meanwhile, we also deliver and install various decorative stones for property owners across the state. 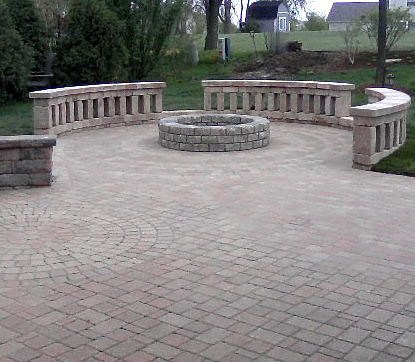 We source our materials from our trusted partner suppliers so you’re guaranteed that you’ll have the best materials possible for your desired hardscape structures. 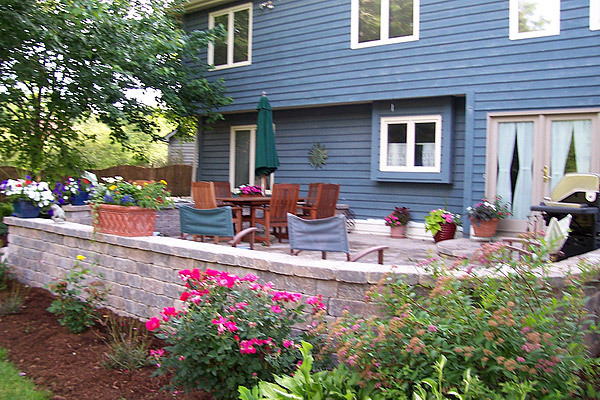 Whether you’re from Lemont, Lisle, Lowell, or Highland, you can count on the expertise and experience of our team. 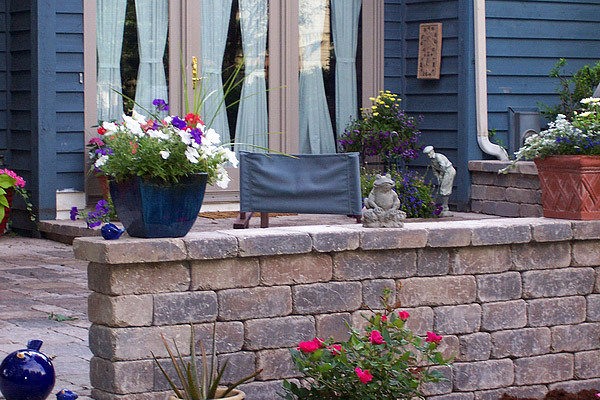 As ICPI and NCMA certified and licensed installers, we have the skills and deep knowledge required to create stunning masonry structures. 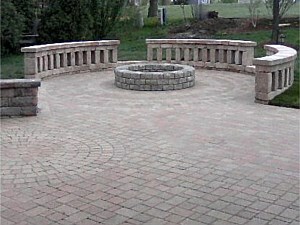 Call us today and let us build your dream hardscape structures.